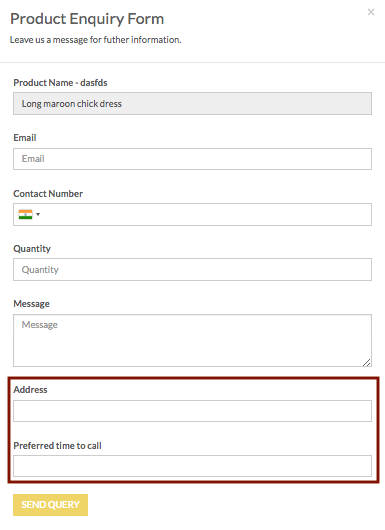 How to edit product enquiry form? You want to modify the Product Enquiry form (built-in form) on the site and add new fields that your customers can fill the information which you seek. Select the Name of the entity as 'ms.product_enquiries' where the data will be stored. 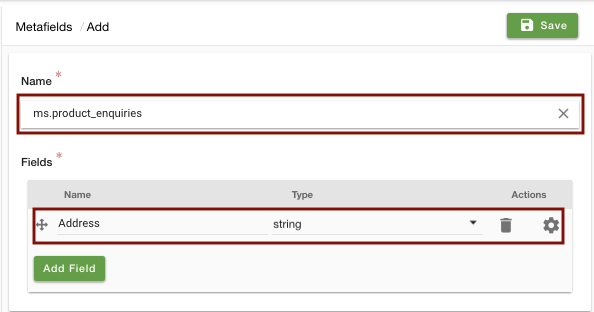 Under fields, Enter the field name as 'Address' and select the Data Type as 'string'. Click on the Add Field button to add more field. 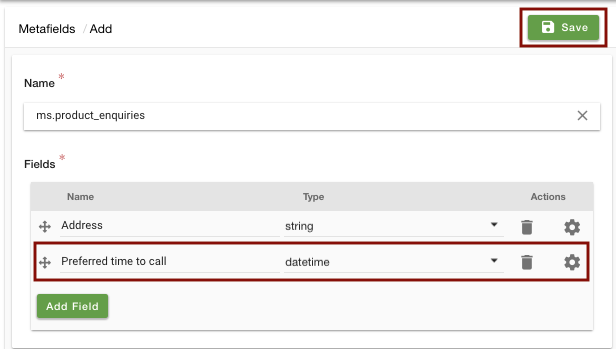 Provide the Name as "Preferred time to call" and Type as 'datetime' for the new field. 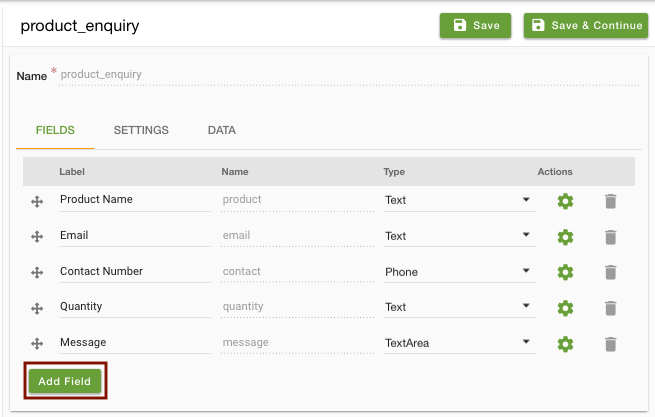 Go to Site > Forms section in StoreHippo Admin Panel to edit a form. Click on the Product Enquiry form. The Product Enquiry form opens. 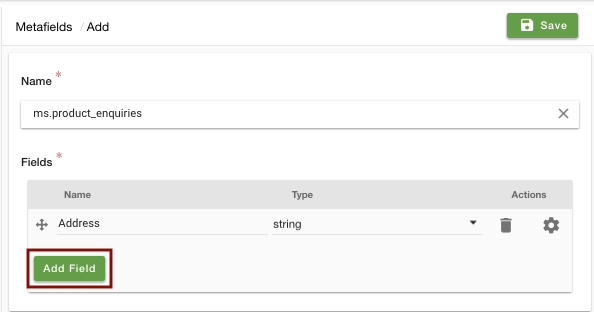 Click on Add Field to add new fields in the form. 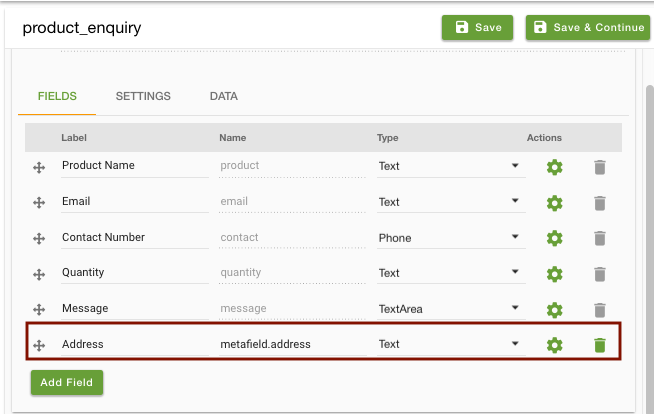 Provide the Field label as 'Address' and Field name as 'metafield.address' for the new field. Similarly, add one more field. 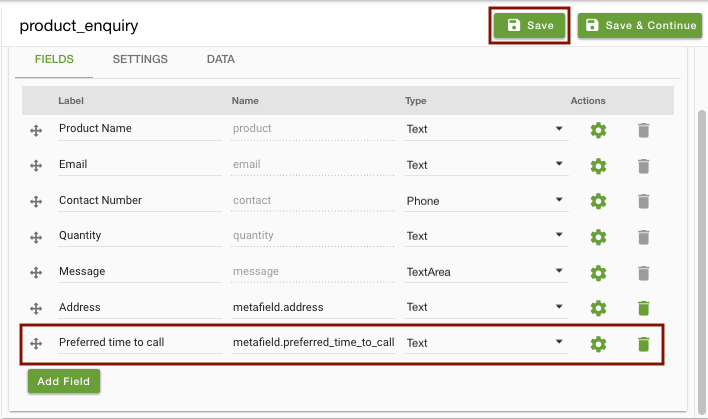 Enter the Field label as 'Preferred time to call' and Field name as 'metafield.preferred_time_to_call'.